Melbourne post-punk trio Cable Ties are delighted to be making it across for their first tour of Aotearoa New Zealand with some excellent local bands joining them! At Auckland, Whammy Bar, Cable Ties will be joined on stage by Echo Ohs and Carb On Carb. Then to the Raglan Yot Club with 5 Girls. Closing our their New Zealand tour in Wellington, Moon, with Hex and Namesake. The band will be playing songs from their self-titled debut album and a whole bunch of new stuff! "The band play an X-Ray Spex brand of post-punk that’s packed with gnashed teeth and crushed gravel." Featuring Jenny McKechnie (vocals/guitar), Shauna Boyle (drums) and Nick Brown (bass), Cable Ties are three friends who deliver anthems that turn latent anxieties into a rallying cry. They bear a punk ferocity that extends to kraut and boogie, stretching songs past their breaking point, searching for that joyous rush. The band have spent the better part of the last 12 months touring with an electrifying live show that earned them nominations for 4 x National Live Music Awards and a Music Victoria Award for 'Best Live Band' this past year. Choking to Choose (friendships remix) is five minutes of high hats and thumping bass, chopped up vocals and rolling synths, pieced together in a way that could soundtrack your time travel as easily as it could a recurring dream. Visually it tells a similar story – psychedelic imagery of the band’s distorted faces showered with floating particles. Having played from their debut self-titled album and Tell Them Where To Go/Choking To Choose, Cable Ties are armed with a fistful of new songs and are ready to share them with New Zealand this Feb/March. Cable Ties are frenetic lead lines tethered to a hypnotic rhythm section. Welding punk ferocity to kraut and boogie they stretch songs past breaking point, searching for that joyous rush. Jenny McKechnie channels her struggles into songs that resonate beyond like-minded punks and give voice and language to feelings deeply burrowed into modern existence. Four years of jamming, recording and touring have turned them into a powerful live force of chugging punk rock rock. Gang of Four reschedule Australia and New Zealand Tour dates due to illness. Get ready to stomp your feet in the pit and raise your fists in the air, Canadian political punks, Propagandhi have just announced a run of shows across Australia... and New Zealand! Quintessential Irish-American Celtic folk/punk band Flogging Molly is leaving California this April to come and dazzle New Zealand with their wild live performance tactics. Fresh off the road on their first global tour, Bristol, UK 5-piece IDLES have announced they’ll be headed to New Zealand this summer – performing at The Tuning Fork in Auckland, Wellington’s Meow on January 21 and 22. JC Carroll founding member of The Members (and still a Member!) will play one solo show in Auckland in October. JC will be performing Members songs and solo material. Freshly home and rested from a whirlwind tour of Australia and the UK, Yukon Era have teamed up with Palmy natives SODA BOYZ for an 7 date tour spanning the length of the country. One of Australia’s most loved and pioneering bands, The Living End, are back with a brand new single. 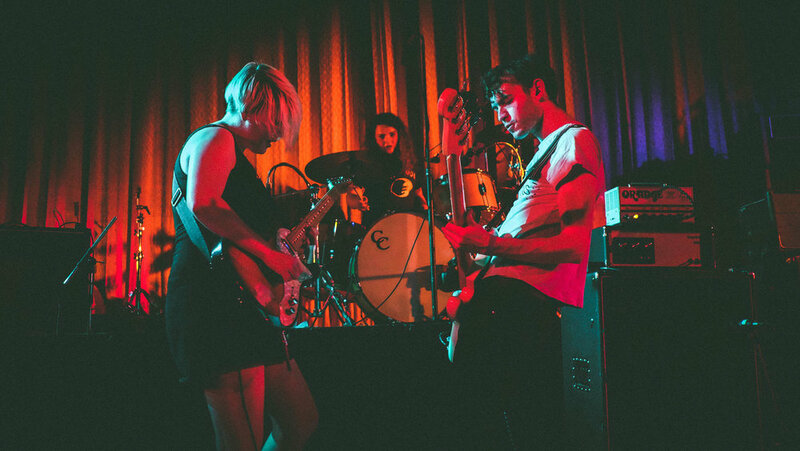 Sydney post-punks Mere Women have released the new single 'Skin. Yukon Era are set to finish their three date NZ tour, with the final show tonight at Galatos in Auckland. Seven Crowns are a punk band that probably formed sometime in 2005, in the depths of the British West Country. Iceage present new song, ‘Catch It’, their first new material since 2014’s critically acclaimed Plowing Into The Field of Love. Yukon Era are set to play at three date NZ tour this March. Legends of fun time ska, Bad Manners return to Australia and New Zealand in 2018 for a Greatest Hits Tour.